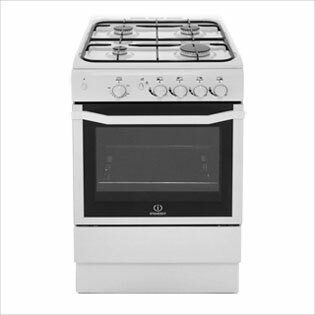 Brilliantly priced gas cooker. This model comes with a very tempting price tag and some handy features too. The main oven gives you 58 litres of space, and can be used as a grill. For extra peace of mind it comes with a flame safety device which will automatically cut the gas supply should a flame ever go out. It’s LPG convertible, so even if you don’t have access to mains gas, you still won’t miss out. And it has an interior light so you can keep and an eye on your cooking with ease. 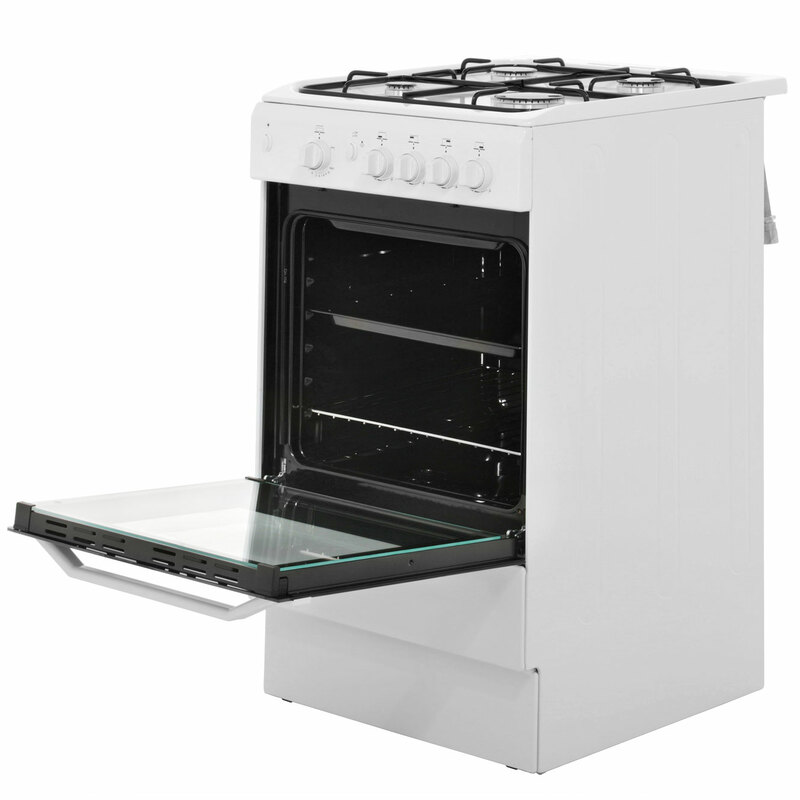 "Excellent oven. Has replaced the old one. It’s easy to use and fits perfectly in the space. Didn’t take long to be fitted either. Highly recommended. " 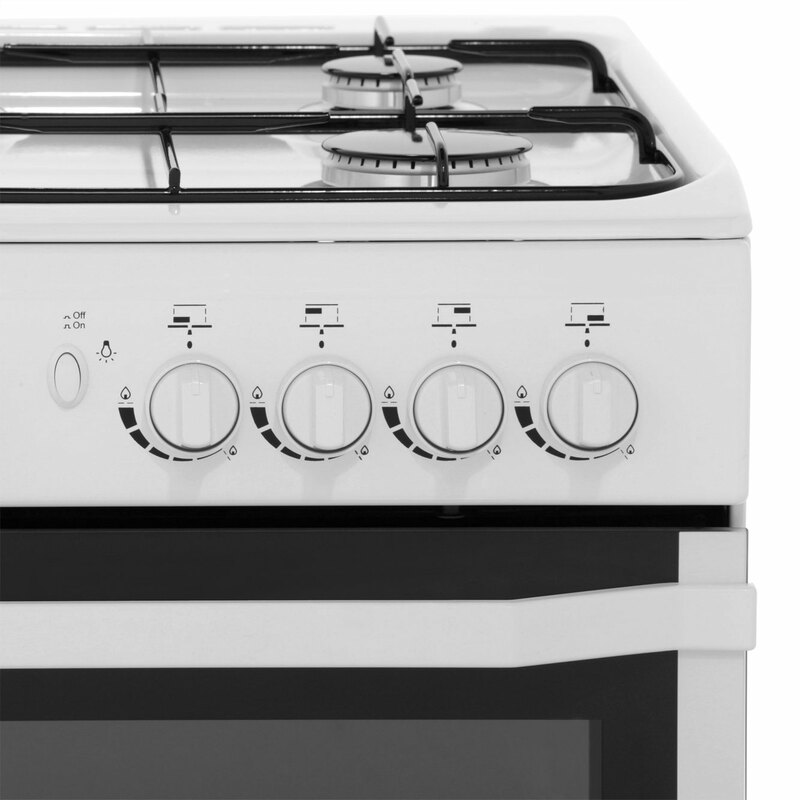 "Service and delivery as prmised and quality of cooker as expected, thank you x"
"I received my gas indesit gas cooker 2 weeks ago from ao.com . 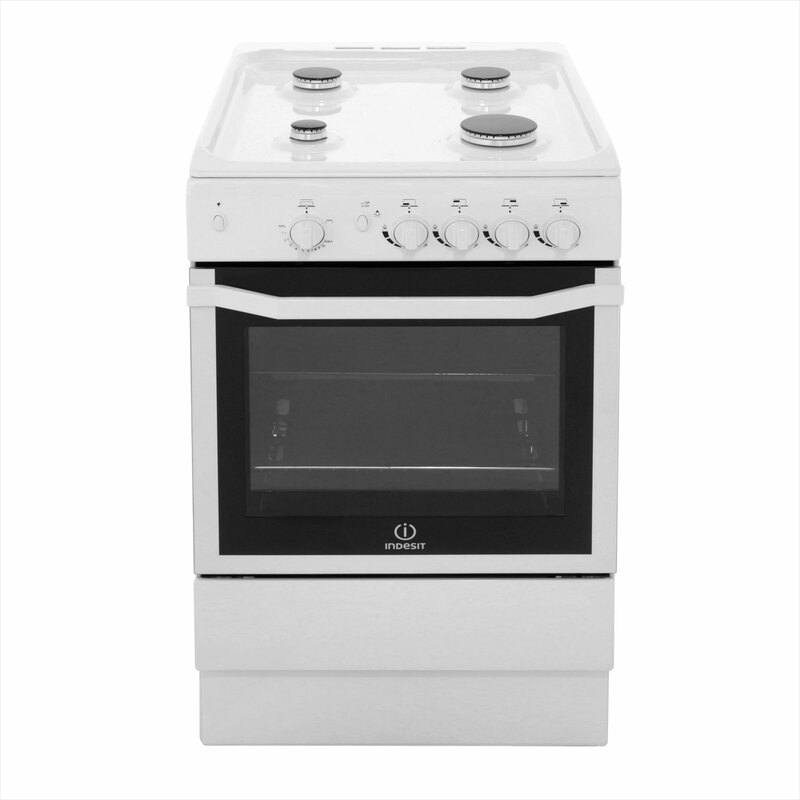 The cooker itself is a lovely looking cooker it was just the right size to fit in the space in the kitchen the grill is inside the oven and the storage drawer is a bonus as a lot of cookers don't have a drawer so you can put all your baking trays in. 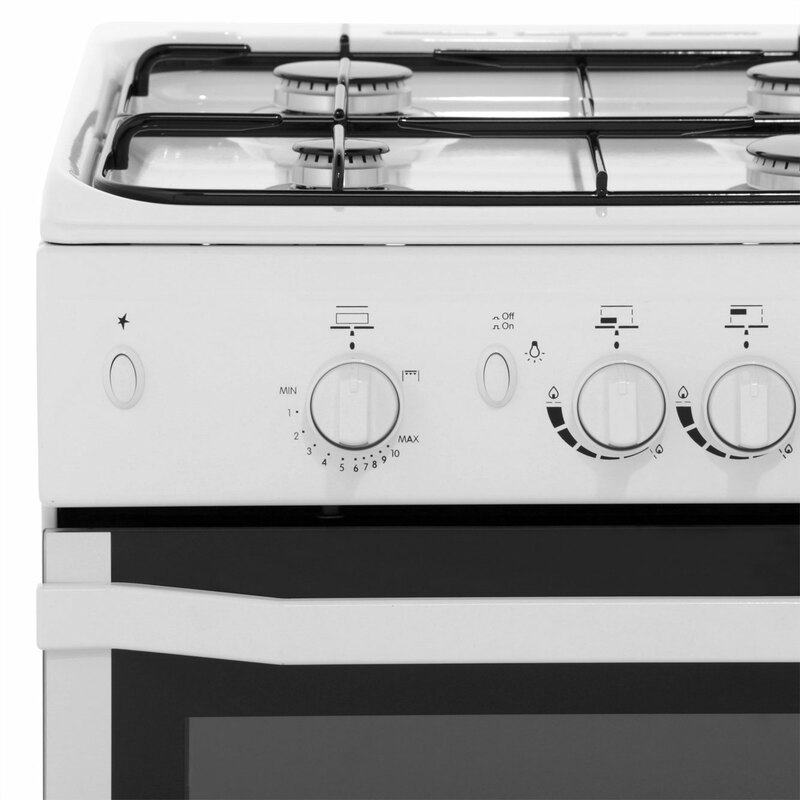 I would decently recommend this cooker." 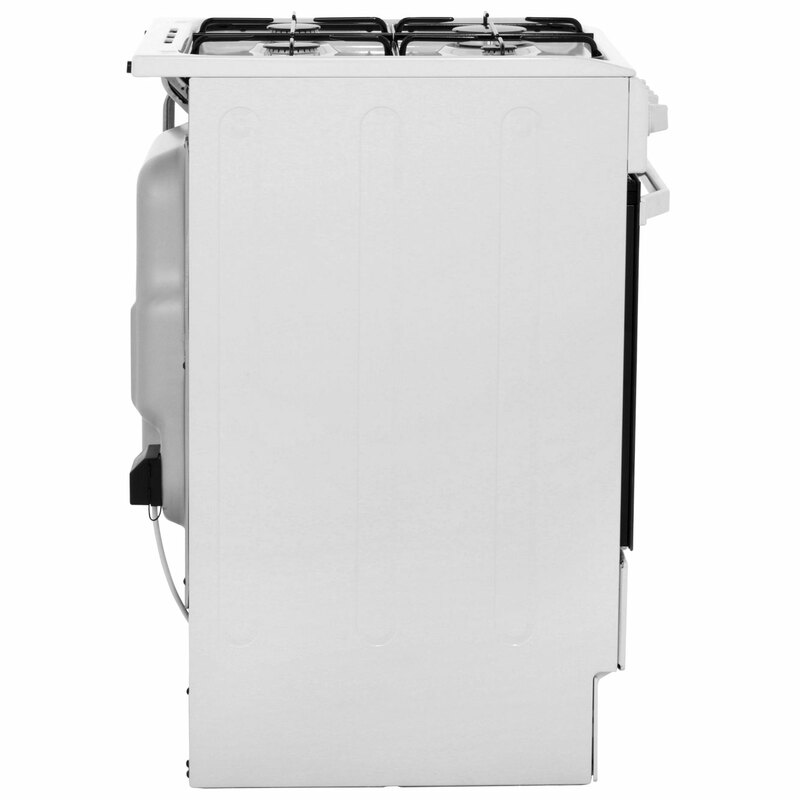 "Whatever I buy from AO.com is without doubt truly outstanding in both quality and service. My latest purchase an Indesit gas cooker was delivered and installed exactly when they said and very professionally and my old appliance taken away. As usual I could not fault anything and would recommend ao.com to everyone without hesitation. Thank you all at ao.com for your outstanding service." "Excellent cooker for the price . Grratvas it can be used in a house or caravan. " 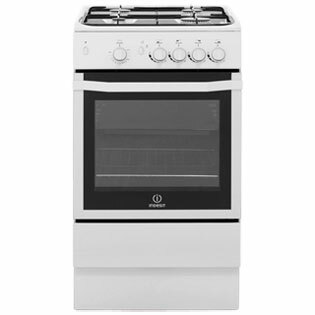 "This is the first cooker I've ever purchased and being on a budget this one was fantastic for my needs. Ideal for a single person, but can easily accommodate for a small family too. 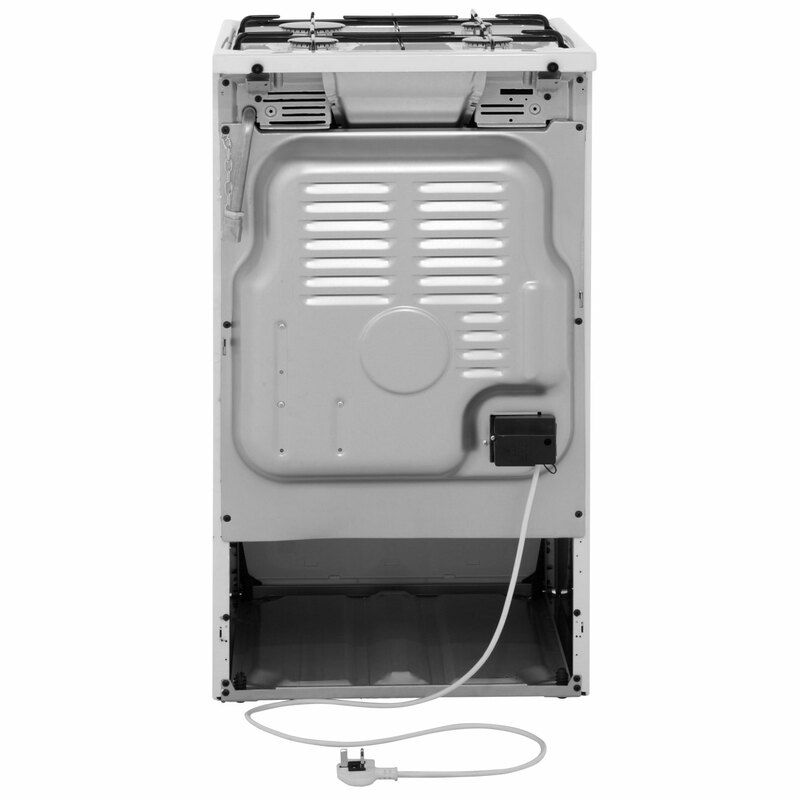 The only flaw, in my opinion is the hinges for the bottom storage compartment are a bit flimsy." Excellent oven. Has replaced the old one. It’s easy to use and fits perfectly in the space. Didn’t take long to be fitted either. Highly recommended.